After deciding on a trip and getting in touch, you can secure your spot on the boat by making your trip deposit on this page. Cancellation Policy: Any cancellations made within 30 days to your booked date will result in a loss of deposit unless the trip is rescheduled within one year of the original date. Cancellations made within one week of the booked day will be paid in full by the customer. Weather cancellations will result in either a complete refund of deposit or a re-book of the date. · UV protectant clothing or clothing for warmth in cold conditions and a rain jacket. · Closed Shoes are preferable to sandals, sometimes there’s a lot of horseflies! 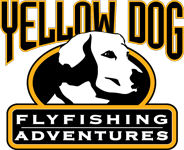 · A Louisiana fishing license, there are charter passenger 3 day licenses. Everything you need on the water I have. Rods, tippet, flies etc. are covered. If you want to bring your own feel free. The Dogwood Lodge is excellent for those interested in just the fishing. You will be picked up by my boat from the lodge and head out to the marsh from there. Check out their website for more info. For those who would like to experience New Orleans, The Ritz Carlton (504) 524-1331, Riverside Hilton (504) 561-0500, and Hotel Mazarin (504) 581-7300 are three great hotel options.